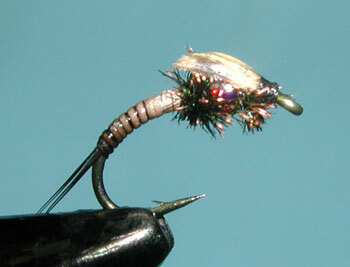 Notes: This pattern is designed by Dave Sloan of American Flyfishing out of Sacramento, CA. 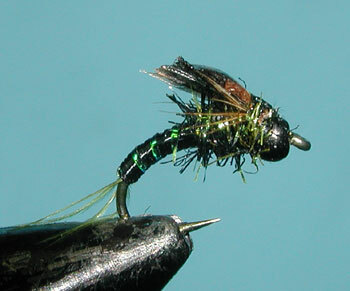 Dave developed this pattern while guiding on the Pit River in Northern California. 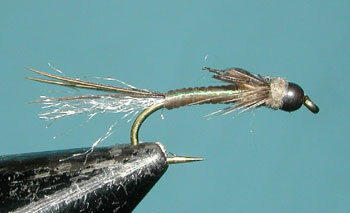 He noticed a distinct notch in the wingcase of baetis nymphs and applied that attribute to the pattern, enhanced by a drop of epoxy on the wingcase. An important attribute that Dave gave to his pattern was to create subtle triggers rather than flashy ones. To do this, Flex Floss is wrapped over the Krystalflash ribbing to reduce the flash yet still retain a subtle character of it. 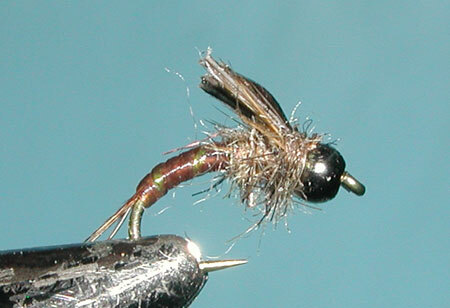 An exception to this is on his Baetis pattern using Black Flex Floss. The black is too opaque to show the Krystalflash through, so the Krystalflash is applied after the Flex Floss. Dave also prefers a Black bead rather than Gold or Brass for the same reason. At times, too much flash will turn away the trouts interest. 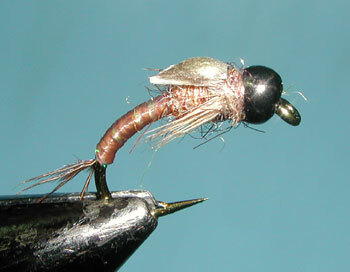 Dave has had considerable success with this pattern and came up with a series of Mighty Mays for PMDs, March Browns, Callibaetis, Baetis, and Midges.